Birthdays are big deals in my house. You get to choose a home-cooked meal of your choice or a restaurant dinner of your choosing. My brother-in-law, David, is so awesome (pictured with my gorgeous sister above). He put in so many man hours on my new home, all for free. So, when his birthday rolls around and he says he wants a lasagna dinner, I make it my business to make a sauce for the lasagna that is simmered all day, and finally baked into a lasagna. So, while loads of my recipes are quick, this one isn’t. But if you have a day to hang around the house, while your sauce gently bubbles on the stovetop, make this. So.worth.it. Heat the oil in a large heavy-bottomed pot over medium heat. Add in the diced bacon and saute until beginning to brown (about 5 minutes). Add in the onion, celery, carrot, garlic, thyme, basil, dryed pepper flakes and bay leaves; saute for about 5-6 minutes. Add in tomato paste; cook stiring with a wooden spoon for 2 minutes. Then add in the ground veal and pork; cook until cooked through and well browned (about 12 minutes, the meat should be BROWNED well!). Add in the wine then simmer for about 8 minutes uncovered. Add in the broth and crushed tomatoes; reduce heat to low, cover and simmer for 1 hour, stirring often with a wooden spoon. Uncover and season with salt and pepper; simmer for another hour or more (uncovered). If you prefer a creamy sauce, add in about 1/4 cup whipping cream towards the end of cooking. Serve over cooked pasta and top with parmesan cheese. Our waiter greeted us and brought us some chilled water in a bottle for the table. He gave us the option of sparkling water and Pellegrino (same thing?) and we all felt like cheapskates for saying that plain old tap water was fine. But gah. Who wants to splurge on water? Save your pennies, and order a cocktail. With the free water (which was just fine, by the way) they brought out the free appetizers: White bean spread with fresh Italian bread. Some of the folks at our table didn’t really love the white beans, but I did. They were tangy with a splash of vinegar and minced onions and herbs and creamy when spread on the bread. Drizzle with olive oil and you have a winner. Here’s what you were saving those pennies for: D.S.L. No idea what it stands for, but lord was it good. It was a mix of Limoncello, Prosecco, Muddled Fresh Mint and Strawberry Purée. How I found this was by asking the waiter which drink was the least strong. Because I’m a wimp and I was driving. This is the answer. To lots of questions, I found out. For the paid appetizers, we all agreed to get something different so we could try each other’s. Anessa got the Calamari Fritti. This was a lightly fried mix of Calamari sticks and Scallions which were garnished with Peppadew Peppers. The two dipping sauces were Spicy Tomato Sauce and Lemon Aioli. I don’t know which I liked better. The spicy tomato sauce packed a flavorful punch, but the aioli was subtle and creamy. The calamari itself was lightly fried, not overcooked, but we missed those weird tentacle thingies. Still, a favorite at the table. Heirloom Tomato Caprese features Burrata, Basil Pesto and the freshest heirloom tomatoes. Skinny girl treat. Another skinny girl treat was the Asparagus + Prosciutto Tender braised asparagus served alongside a lightly dressed Spring Salad with a Roasted Lemon Vinaigrette with Prosciutto. A splash of balsamic vinegar adorned all. Laurie was pleased as punch with her choice. She said it was so fresh and light. You expect it to be fried, but just tryyyy it like this. Seriously. It was so good and fresh, and the Tomato Marinara that it swims in is so spicy and good. Sitting atop is Mozzarella, Olives, Peppadew Peppers, Basil and it all somehow works together amazingly. And look at the cool plate. I always ask the waiter what his favorite dish is. Very rarely am I steered wrong by the person who has tried everything on the menu and consistently brings food to patrons night after night. So, when he recommended this, no brainer. If you could get a bite with all 5 elements: Gnocchi, Prosciutto di Parma, Pear, Gorgonzola, Truffle Oil, you would hear the sound of angels and a light would emit from your mouth. Not even exaggerating. If you’ve never had short rib, you might not realize that when braised it tastes just like pot roast. But really tender, and so flavorful. This one sat atop an English Pea Risotto, ringed with plops of Goat Cheese and garnished with Brussel Sprout Chips. It was so rich and hearty. I’ll get that next time. My choice for dinner was a special. It was Grilled beef tenderloin, Caesar style potatoes & Swiss chard. I had to send mine back because the steak was too rare for me (cold red center, blech) but they brought it back a few minutes later and it was perfect. OK, still pretty red on that far right one, so I didn’t eat it. But the rest was very delicious. The meat was so tender, and seasoned perfectly. I LOVED the small little potato coins and the parmesan sauce they were in. Also, I never knew I loved Swiss chard so much. Anessa got this dish, and because it was cooked so rare I could not taste it to report to you. I will just tell you that it was perched upon Roasted Eggplant and topped with Shaved Fennel Citrus Salad with a Walnut Vinaigrette, She said it was cooked perfectly and delicious. But she left a lot of that eggplant on the plate, suspiciously. OK, so the polenta is a side dish, but I have to mention it because it is one of the best things I’ve ever eaten. Creamy, buttery goodness. I mean, just look at that lake of butter in this dish. Sinful. Amazing. We all know what this is, and it might be an unimaginative choice. I can’t help it, it’s still an old favorite. 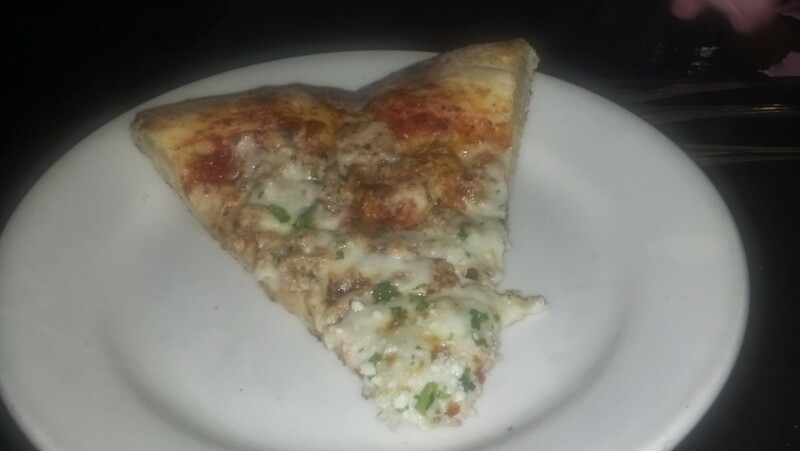 And when done well, like it is here with fresh Mozzarella and the spicy Marinara you sincerely can’t go wrong. Simple and good. 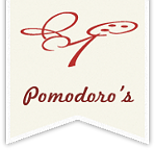 Mimo’s Meatballs, Red Sauce, Parmigiano: Another classic that can’t miss. Honestly, this was from another visit, and I never tasted it, but my dining companion said it was fine. King Crab, Scallops, Shrimp, Linguine, Spicy Marinara: This was another of our waiter’s recommendations. And was it spot on. The shrimp were huge and cooked perfectly. The crab was delicate as were the scallops, but the scallops were just on the undercooked side. I’m sure bay scallops are hard to get exactly right since so small, but there you go. The squid ink linguine was an unexpected surprise, but I didn’t taste any difference between it and regular pasta. 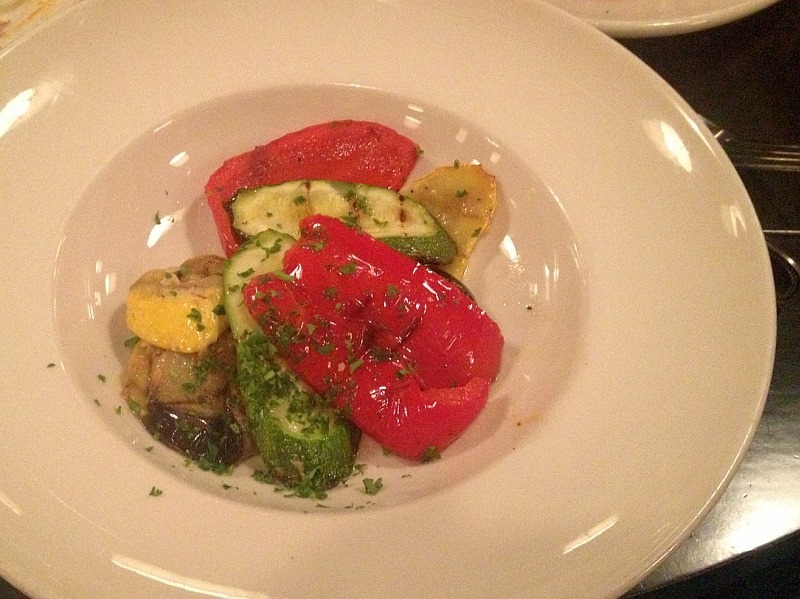 Toasted Garlic, Broccoli Rabe, Roasted Red Peppers, Chiles: Another dish enjoyed on another visit. My dining companion said this one was simply “Ok”. Espresso, Lady Fingers, Mascarpone Crema: Is this not the most beautifully rustic dessert you’ve ever seen in your life? And guess what? It tasted just as good as it looked! The coffee soaked lady-fingers were perfect; not too strong and not too wet. The fresh cream was perfect and made for a light end to a delicious meal. White Chocolate Crema: And then there’s this. Dense. Chocolaty. Rich. Hazelnutty. If you like Nutella, you’ll love this. So, there you have it. Aria. It’s delicious. I will say that both visits we had an issue with service. Not a big big big deal, but our waiter was a little annoyed with us and was a little absent. The owner did come over and chat with us about his friends in Lincolnton, so that was a nice touch. Even with the snooty waiter, I’d go back. Everything we ate was delicious last night. I’ve been to Mama’s now 3 times, and each time I go it gets better. It’s right around the corner from my doctor in Charlotte (the wonderful Bruce Cohen of OrthoCarolina Ankle and Foot Institute) so we went for lunch after one appointment. After this, we knew we had to go back for dinner. So, the foodie crew loaded up and went! Twice! 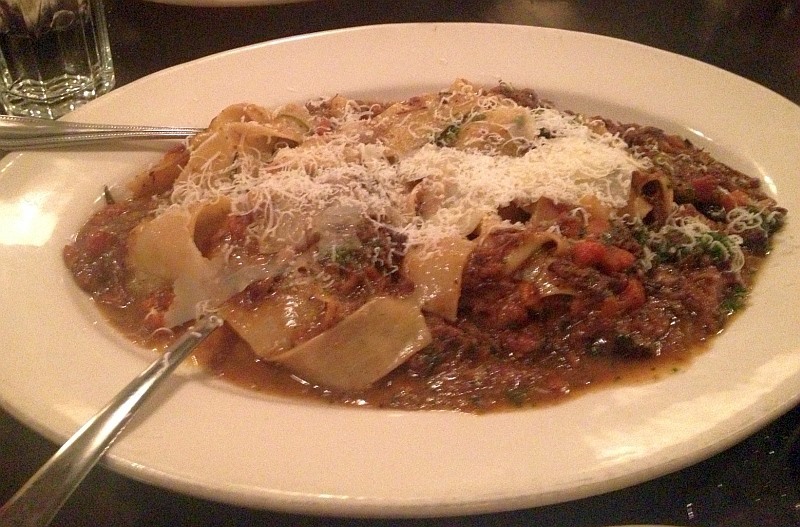 Actually, for a nice dinner out, Mama Ricotta’s is very reasonable. They offer family sized entrees to share and I’ve never left there when we all weren’t full as a tick. Also, the restaurant is lively and nearly always crowded. You would probably do well to get reservations on a Friday and Saturday night. We’ve always been well taken care of by our servers, too. 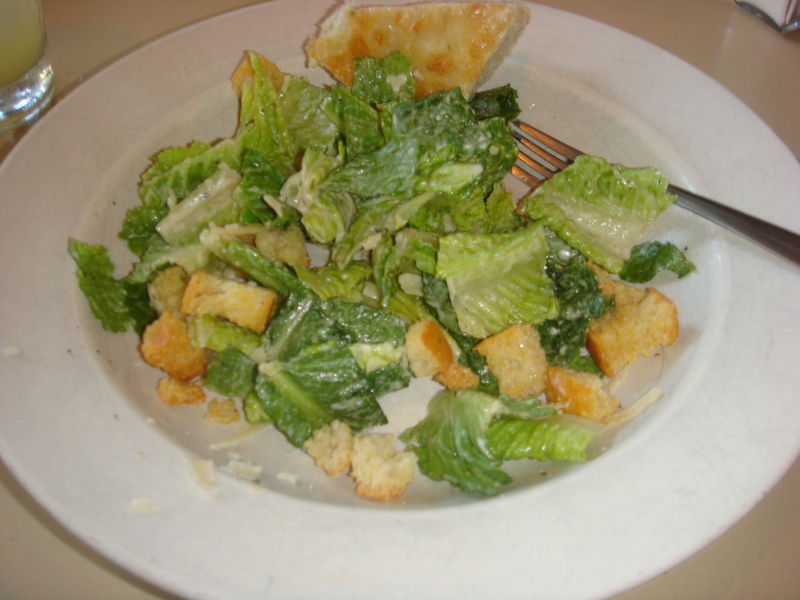 The Caesar Salad is a classic Caesar with cheese, croutons and dressing. The dressing is tangy and delicious, and the romaine was crisp and fresh. My only complaint was that the darn thing was perhaps too cheesy. Is that even a problem? But it really was overloaded, I’d prefer a bit less next time. My dinner companion ordered a side of roasted vegetables. They were grilled over the wood fire, very simply prepared, and very fresh. The pizza is not thin and crispy, and not deep dish. 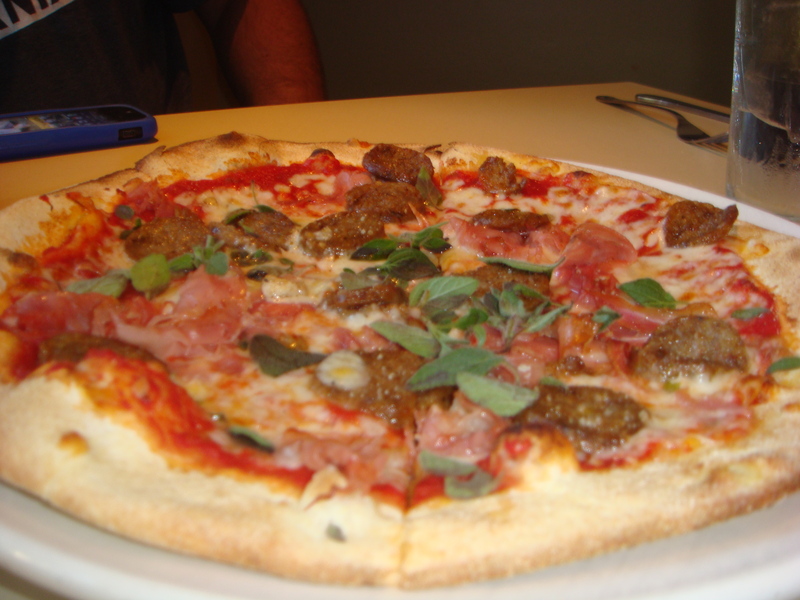 It is made in a wood burning oven so it gets lightly charred on the bottom and remains chewy on the inside of the crust. The toppings that you choose (we’ve tried Italian sausage, chicken sausage and prosciutto) take on that smokiness from the oven, as well, for a rustic flavor. My only complain is with the house-made chicken sausage. Our order had far too much anise in the sausage, making it taste very licorice like. I’d not get that topping again. 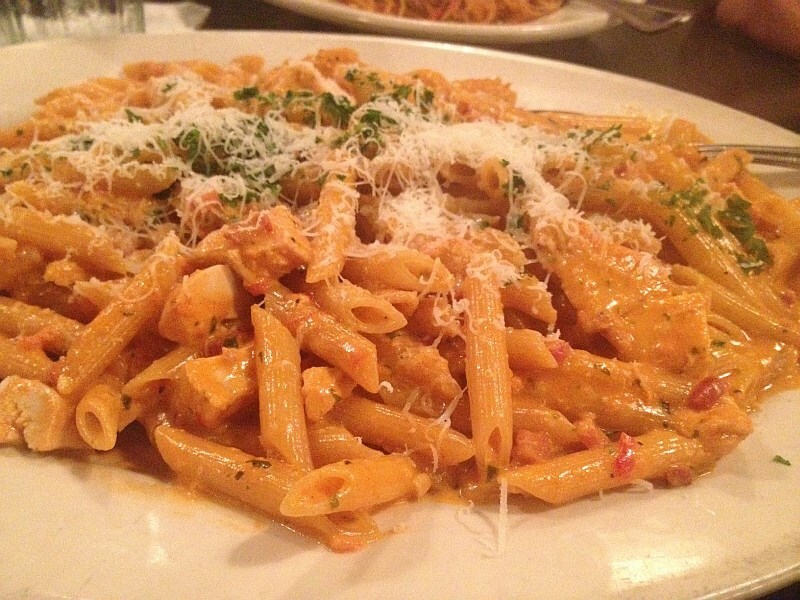 The Penne alla Vodka is perfect by itself, and a great favorite of the restaurant. You honestly cannot taste the alcohol, either. 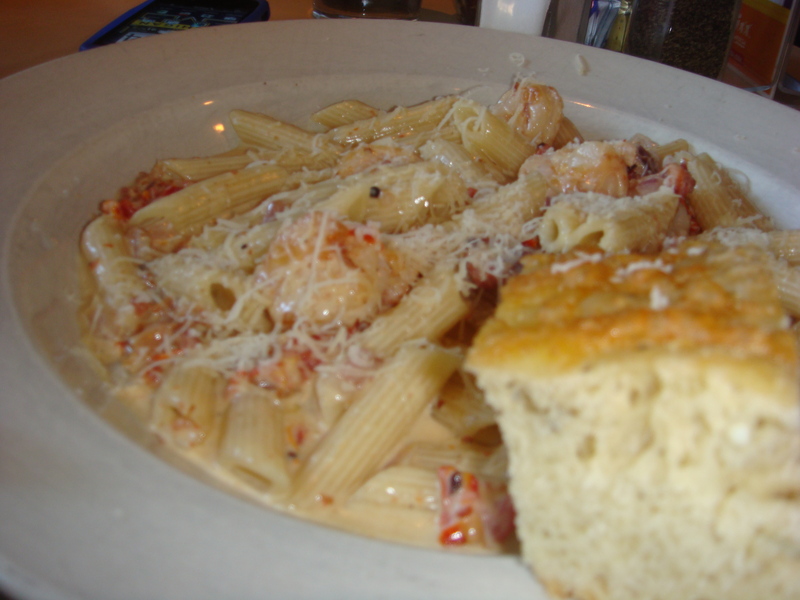 It’s a very creamy tomato sauce which is perfect with the penne pasta. I’ve had it with both shrimp and chicken and both are delicious additions. The shrimp is cooked perfectly, not at all rubbery. The chicken is tender and flavorful. This is one of my favorite dishes. 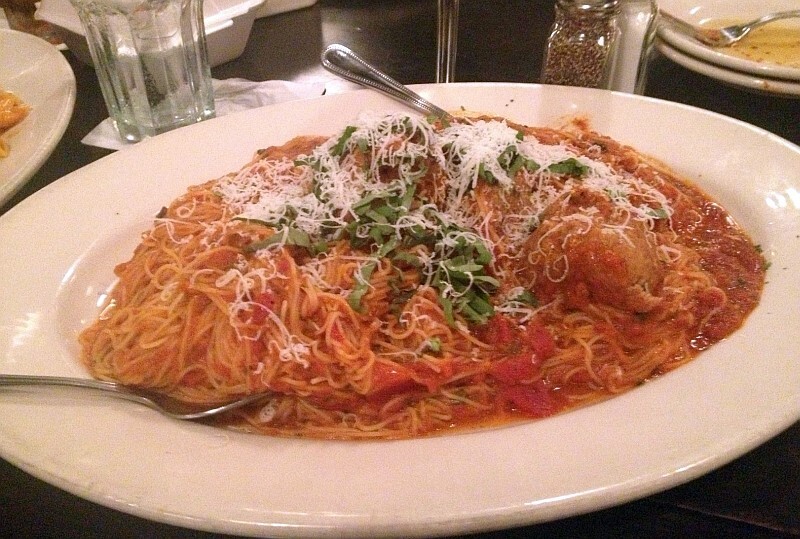 Spaghetti and Meatballs is a staple at most Italian restaurants, and these meatballs were no exception. They were tender and savory, clearly simmering in the warm tomato sauce for a long time. The pasta was also perfectly cooked, with the tomato sauce having just enough acidity to counter the pasta. The Amma’s Cheese Ravioli is filled with creamy ricotta, mozzarella, romano and Parmesan cheeses and topped with a savory marinara soft. 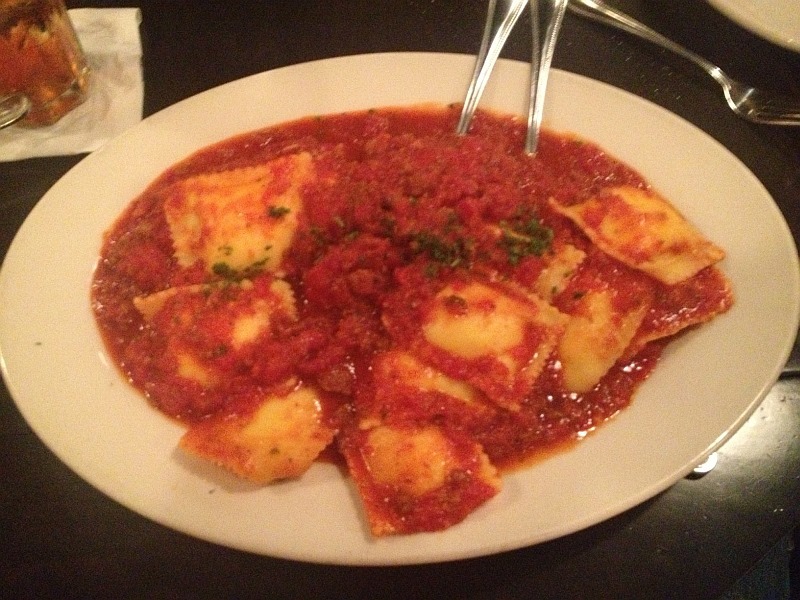 The pillows of ravioli is soft and moist and very light, in spite of the many cheeses. It is a very basic dish, but a solid one. 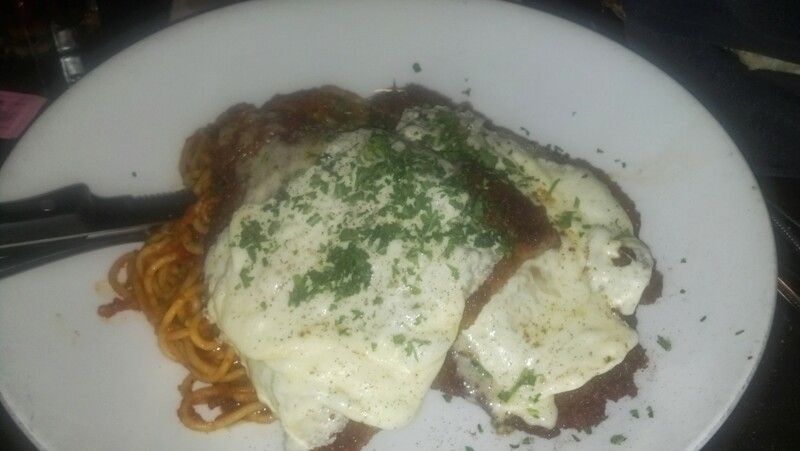 Veal Parmesan was a slight disappointment to my husband. I’m not sure what he was expecting, but he thought it could have been better seasoned. He said he would not get that the next time he visited. 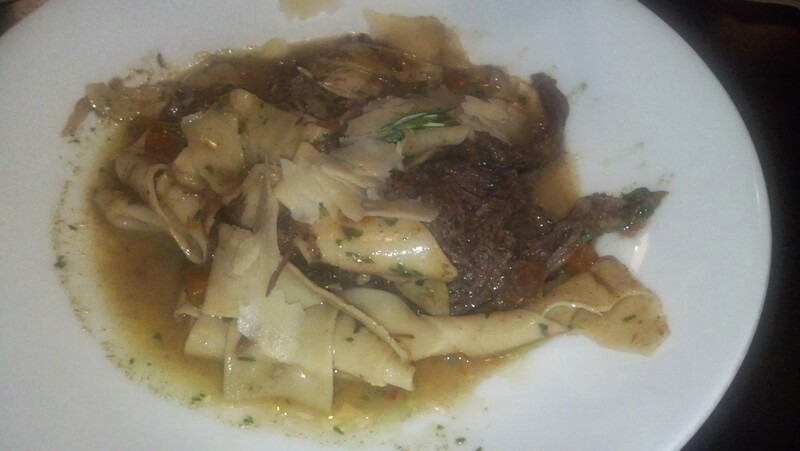 Maybe my favorite dish here, the Papparadelle with Oxtail & Kobe beef ragu is like your Italian grandmother’s version of pot roast. It is hearty, with a beef stock based sauce, filled with slow cooked, tender beef and small cubed carrots. The papparadelle is handmade, too! It is comforting and rustic and reminds me of Autumn. I’ve ordered this twice now. The lasagna is another popular favorite. 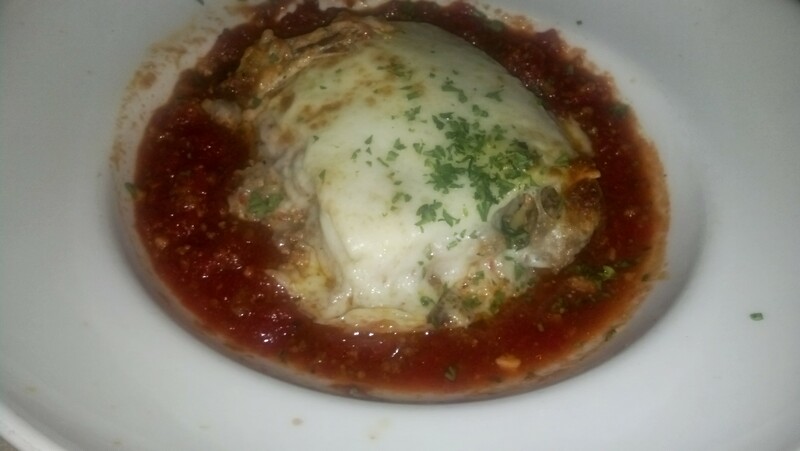 Mama Ricotta’s version is full of meat and cheese and smothered with marinara sauce and more mozzarella cheese. It is creamy and very filling! Crab and Shrimp Risotto has also been one of my favorites. 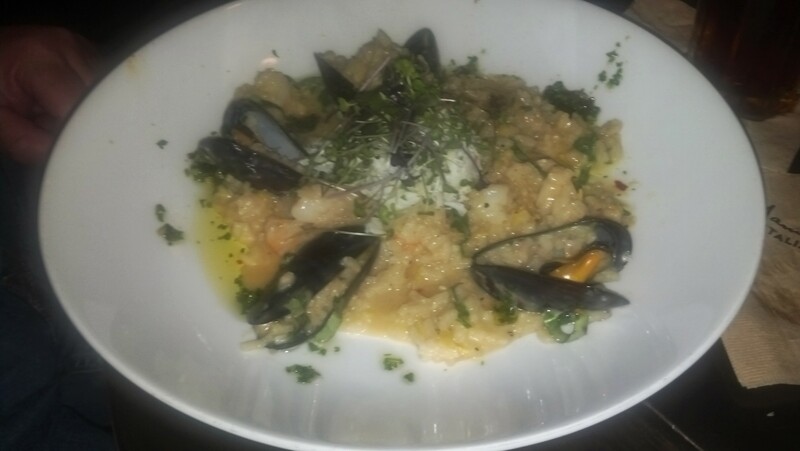 A large mound of creamy risotto topped with lump crabmeat, shrimp and mussels and with just a hint of lemon for the bite of acid. It was comforting and luxurious at the same time. On my next trip, I will be ordering this dish. The desserts are not the highlight of this restaurant, admittedly. We’ve tried quite a few and while we were happy enough, they weren’t exceptional enough to revisit the next few visits. 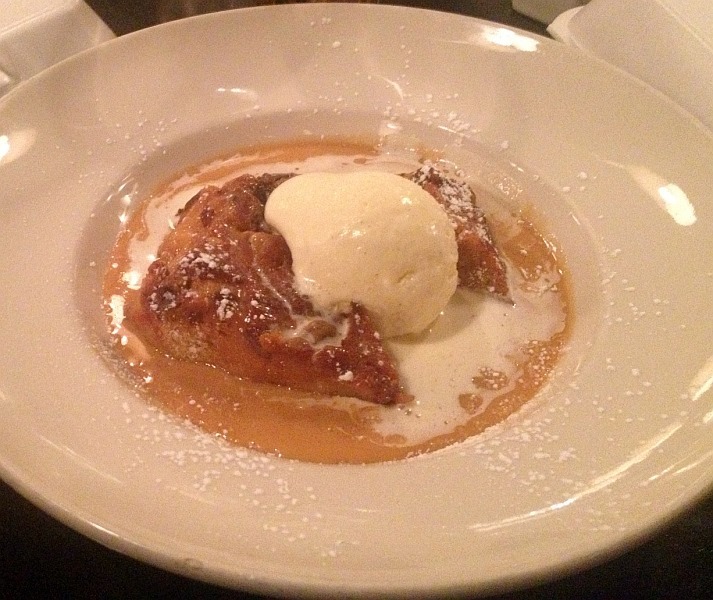 The Ciabatta Bread Pudding is topped with a generous scoop of creamy vanilla ice cream, that melts over your warm pudding to create a richly sweet sauce that mingles with the caramel goodness leaking out of your pudding. It was yummy, and a good version of the dessert. 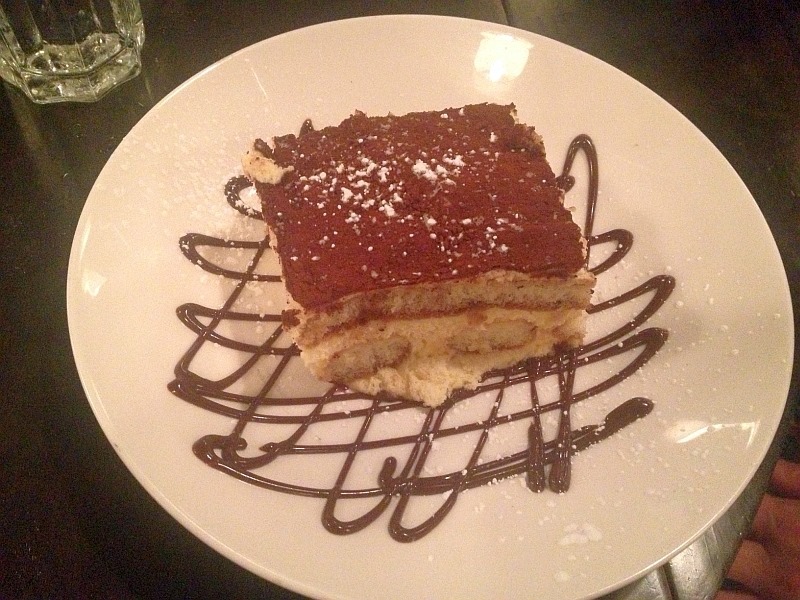 Tiramisu is a typical Italian dessert made with ladyfingers soaked in coffee and mascarpone cheese sweetened with sugar and layered with a sprinkling of cocoa on top. Though coffee is not my favorite flavoring, this version was smooth and delicious…also very pretty! That night there was a special dessert on the menu. 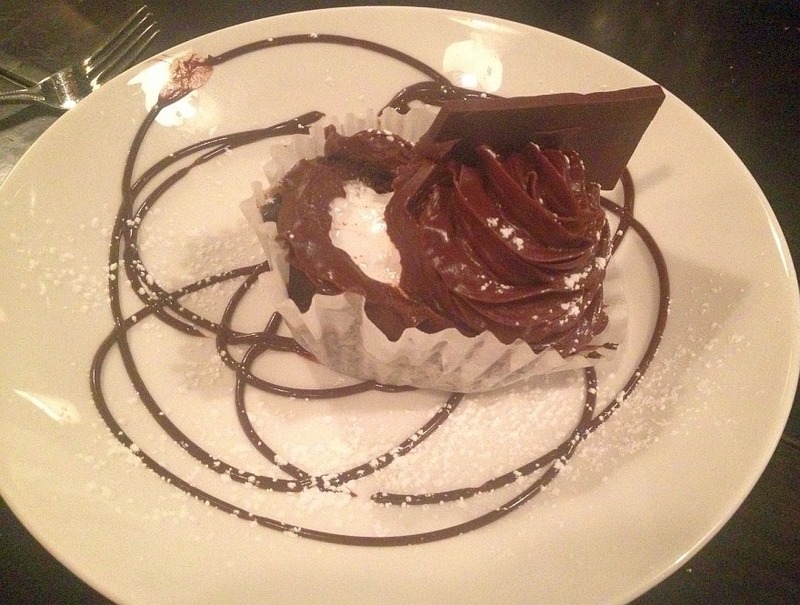 It was a chocolate cupcake, filled with a creamy white center, supposedly in the style of a Hostess Cupcake. It was delicious and full of robust chocolate flavor. The last dessert we enjoyed was the special cheesecake. 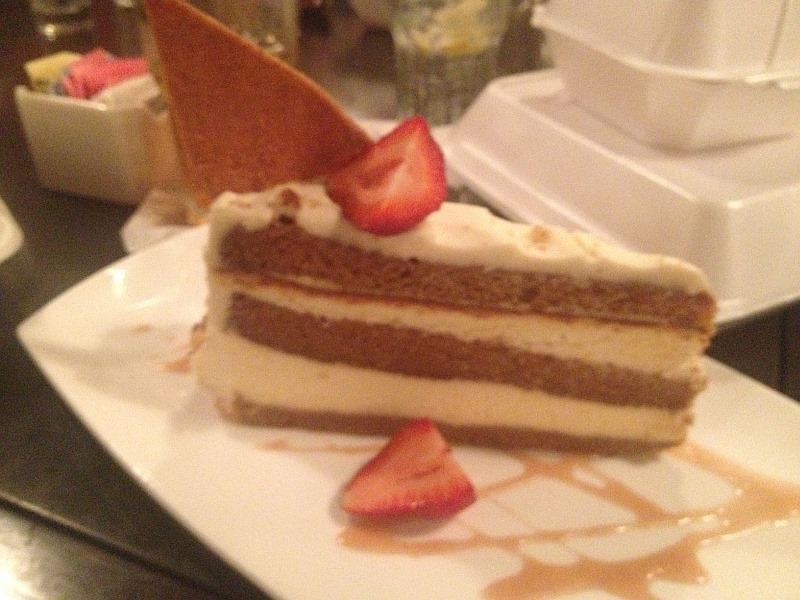 It is layered with cake. My friend pronounced it delicious! Paula Deen is such a great ambassador for the South. But. She lays on that accent a little too thick sometimes and God help me with the cackling. No matter. If she says a recipe is good, you can take it to the bank. This spaghetti is her recipe, and one of the most popular ones I’ve ever shared on Food.com. Tons of reviews. It is really juicy and you will be tempted to increase the pasta, but don’t do it! It makes it too dry, upsets the balance of goodness or something. Trust me, the best way to make this dish is just to do it exactly as Paula says. If you want to take a short cut by using jarred marinara, I understand the inclination; but you are shortchanging yourself. Delish with a salad and hunk of french bread. If you’re real naughty, splurge on that fancy Irish butter in your fancy grocery store and slather it on the bread. Heaven. In a stockpot, combine the tomatoes, tomato sauce, water, onions, peppers, garlic, parsley, seasoning mixtures, sugar, and bay leaves. Bring to a boil over high heat, and then reduce the heat and let simmer, covered, for 1 hour. Crumble the ground beef in a large skillet. Cook over medium-high heat until fully cooked, with no pink color remaining. Drain the fat from the meat, and then add the ground beef to the stockpot. Simmer for 20 more minutes. Cover the bottom of a 13 by 9 by 2-inch pan with sauce. 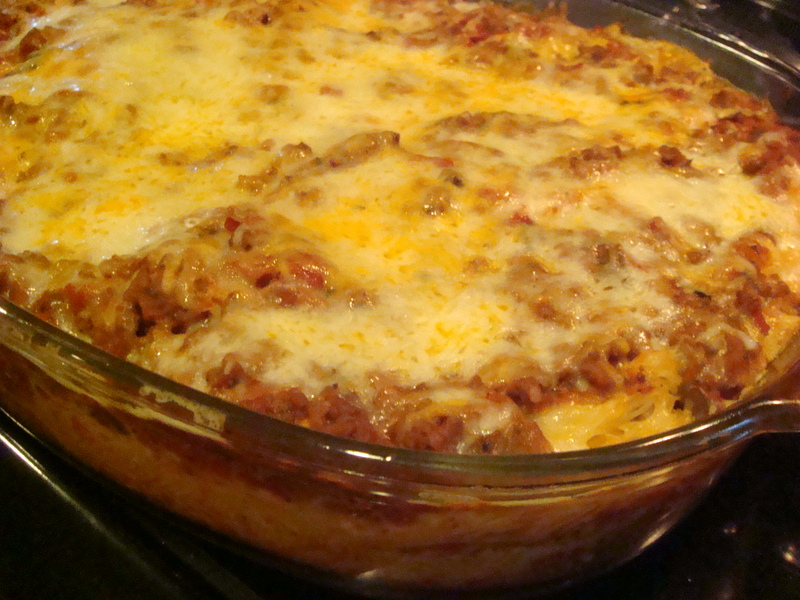 Add a layer of pasta and then a little less than 1/2 of each cheese; repeat the layers, ending with the sauce. Top the casserole with the remaining cheese, return it to the oven, and continue to cook until the cheese is melted and bubbly, about 5 more minutes.